Could our senior travel adviser’s latest trip to the Antarctic become any more spellbinding? It certainly could, with their visit to the astonishing site of Brown Bluff on day seven of their holiday. Below, they detail their experiences. 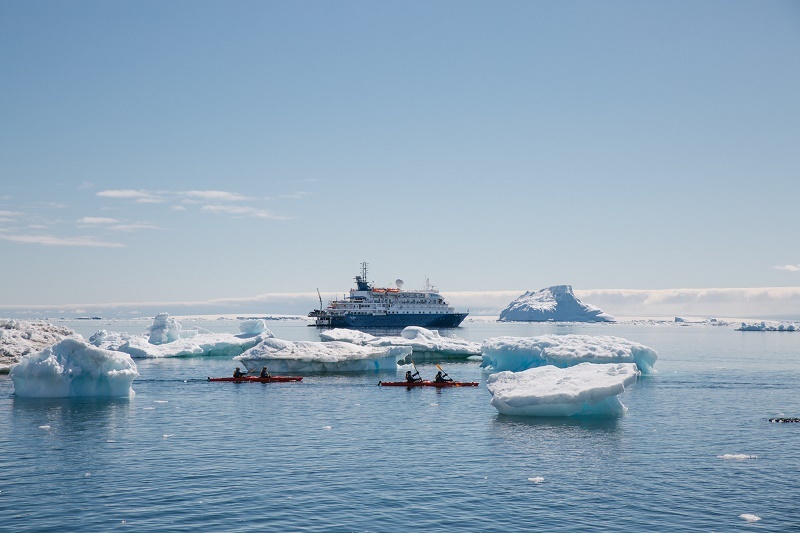 Enquire now to WILDFOOT about booking your own Antarctica wildlife cruise. I woke particularly early this morning and decided to draw back the curtains to my balcony, only to find the most picture-perfect scene before my very eyes, we were surrounded by beautiful tabular icebergs, gleaming in the early morning light. Once again, we were being treated to fabulous weather which was allowing ‘Plan A’ to be executed this morning, we were going to land at Brown Bluff! This magnificent site is known for its large penguin rockeries and dramatic scenery however it also has a notorious reputation for bad weather and quickly shifting ice flows, to the point that the Sea Spirit didn’t manage to land there last season with any level of success, making our visit even more special. Within minutes of us landing it was quite clear to see why this was a favourite site amongst the expedition staff, the sheer size of the nesting colonies was quite something to behold. Within just a few metres of the shoreline there were nesting gentoos and Adelies as far as you could see, it is thought to be one of the largest colonies on the peninsular. Despite being early in the season, we were lucky enough to see several induvials with chicks, some just a few days old. It can be somewhat overwhelming at these colonies, not knowing where to look as you are surrounded by activity, personally I think the best option is to find a suitable spot to take a seat and let the action come to you. If you keep moving from one place to another, you are likely to miss the finer intricacies of these adorable animals. These little charismatic creatures are an endless source of fascination and entertainment and quite rightly deserve the attention they get. Our landing is aborted slightly earlier than expected as the Captain spots that the ice is rapidly encroaching the ship, so thinks it is best we make a hasty exit to avoid getting blocked in – a gentle reminder that we are very much at the mercy of Mother Nature. Back on board lunch is served out on deck to maximize the glorious weather, these al fresco dining sessions are always well received. 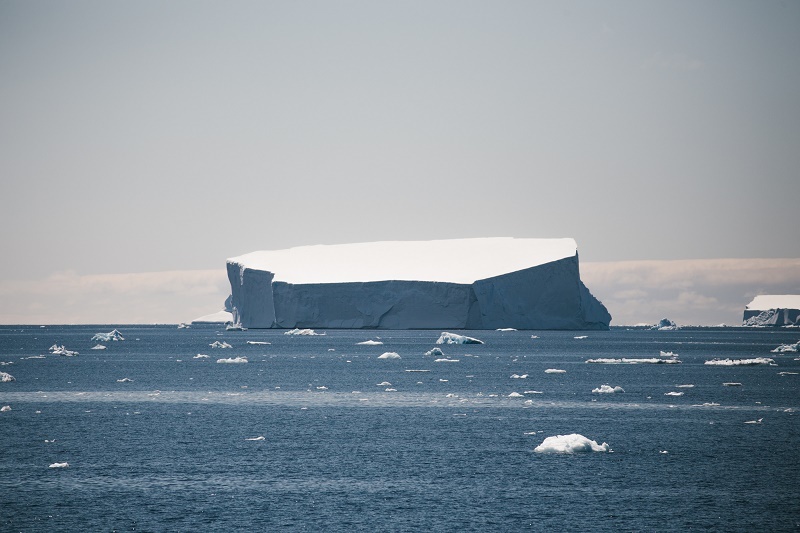 As we sail to our afternoon landing site of Gourdin Island we pass countless tabular icebergs, each totally unique but equally beautiful. These incredible floating towers are the result of caving in the Weddell Sea, some of the bergs we pass are three times the height of our ship and almost a kilometre in length, it is difficult to convey their sheer size in a photo alone. 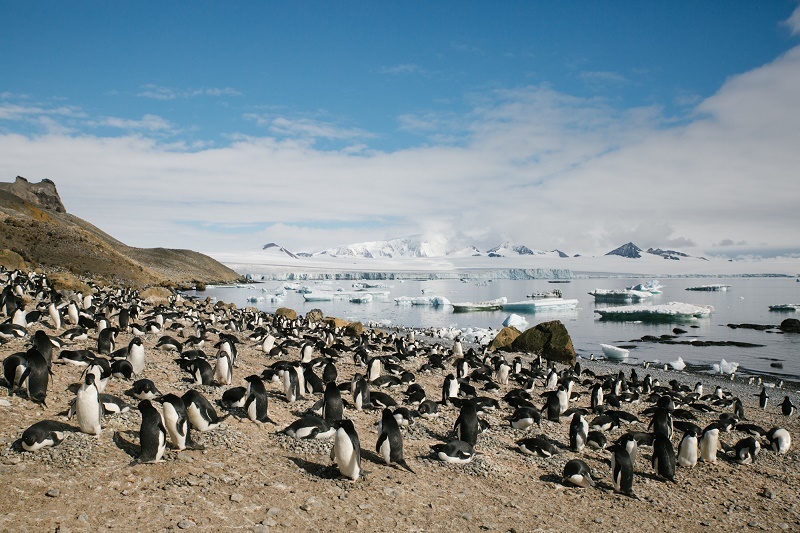 This afternoon is a split landing, two groups of fifty, as determined by IATTO’s guidelines who state that Gourdin Island is of a particularly high environmental importance and vulnerability. 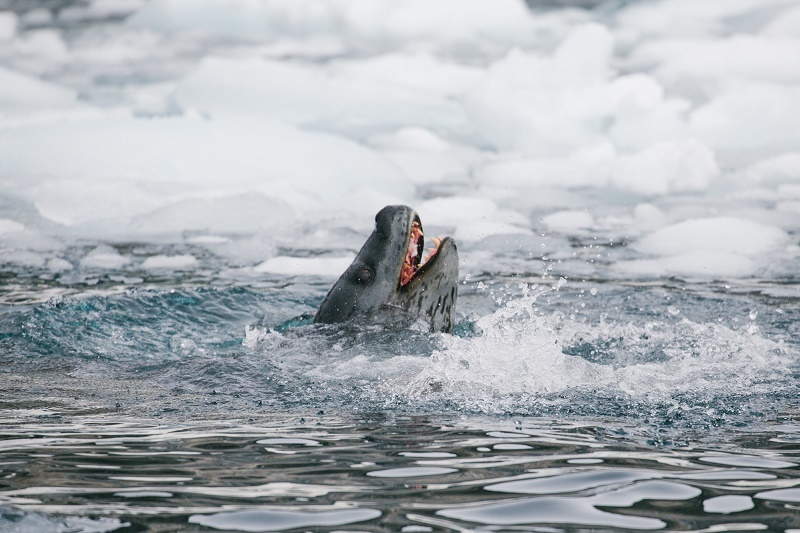 En route to the island, our first leopard seal is spotted playing amongst the icebergs, the speed and agility it shows in the water hinders any great photography chances unfortunately, but we are left hopeful that this might not be our only sighting of this incredible predator. As we pull up to land there are a couple of inquisitive Weddell seals waiting for us, more than happy to pose for our cameras. 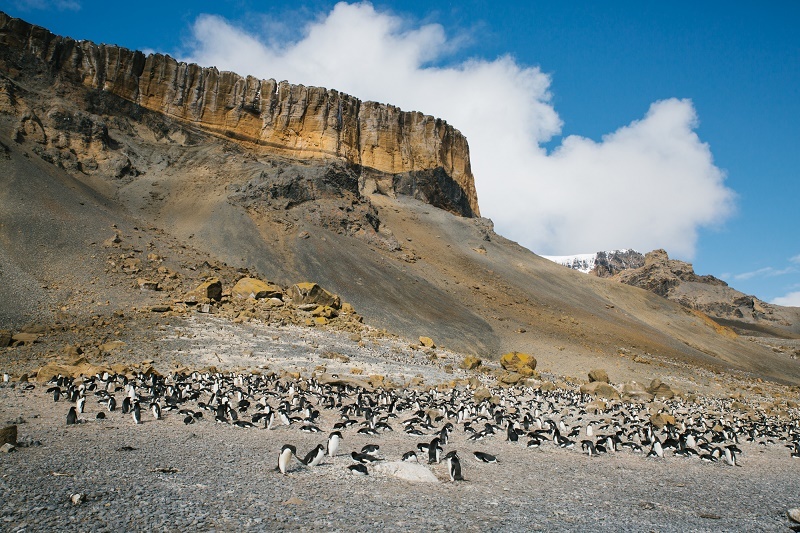 Gourdin Island is home to all three brushtail penguins and a small hike to the top allowed for wonderful views down the Bransfield Strait. Today, has certainly been a day to remember with some of the most stunningly beautiful scenery I have ever had the pleasure of witnessing and of course more penguins than I could bear to count!